Drew Carey is an American actor, comedian, sports executive, and game show host. 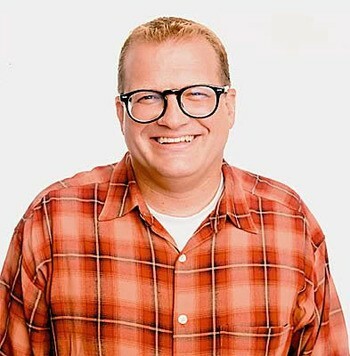 After serving in the U.S. Marine Corps and making a name for himself in stand-up comedy, Carey eventually gained popularity starring on his own sitcom, The Drew Carey Show, and serving as host of the U.S. version of the improv comedy show Whose Line Is It Anyway?, both of which aired on ABC. Carey has appeared in several films, television series, music videos, a made-for-television film, and a computer game. He has hosted the television game show The Price Is Right since 2007. He is interested in a variety of sports, has worked as a photographer at U.S. National Team soccer games, is a minority owner of the Major League Soccer team Seattle Sounders FC and a member of the WWE Hall of Fame. Carey has written an autobiography, Dirty Jokes And Beer: Stories Of The Unrefined, detailing his early life and television career.